A software architecture defines and structures a solution in a way that it meets all the technical, operational and business requirements. It is a foundation for the attributes of an application, its elements, relationships, and properties, which ultimately impacts its scalability and performance. 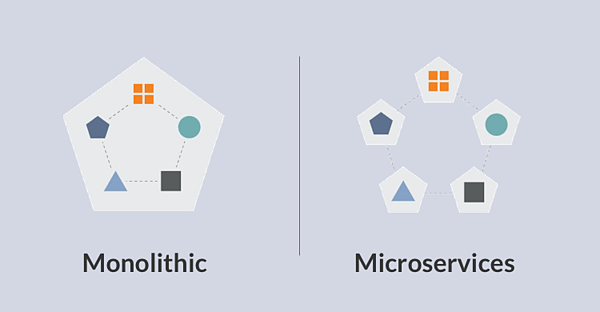 This blog discusses the fundamental differences between Monolithic VS Microservices Architecture and elaborates which approach works best for an eCommerce app development. A monolithic architecture is a unified model for designing a software solution. All components of software here are interconnected and interdependent. In such a tightly coupled architecture, each component and its related components must be functional in order for the code to be executed or compiled successfully. Microservices architecture, on the other hand, is a modular approach for designing a software solution. Herein, a software application is built with an independent group of components that run each application process as a service. In such a loosely coupled architecture, a component is independent of the other one, can be written in different programming languages, use different data storages, and serves only one specific function. Since all services in a microservice architecture are independent of each other, any halt in a process will keep rest of the processes unaffected. For example, a memory leak in one service will only affect that single service. On the other hand, any misbehaving component in a monolithic architecture will bring the entire application down (since all services are interconnected and interdependent). With microservices architecture, developers have the advantage of using different technologies (languages, frameworks, and OS) to build an application. This eliminates dependency and long-term commitment with a single technology stack. Whenever a new service is built or an existing service is updated, a new, better technology stack can be adopted. This also eliminates the dependency of the development team on a particular resource for building or updating service. In a monolithic architecture, the development team is forced to stick to a single technology, which has its own limitations. For example, if a framework that your application uses become obsolete with time, migrating to a newer, better framework can be challenging. Possibly, the development team has to rewrite the entire application in a new language, on a different framework, which involves some sure risks and is time-taking as well. Once the codebase of an application reaches a certain size, it is a good practice to divide the development team to handle specific functional areas. For example, a UI team, an inventory management team, a product management team etc. In microservices architecture, all these services are developed as separate modules. Thus, teams can be divided to work independently, which helps them to change and update production, making it easy to scale application. 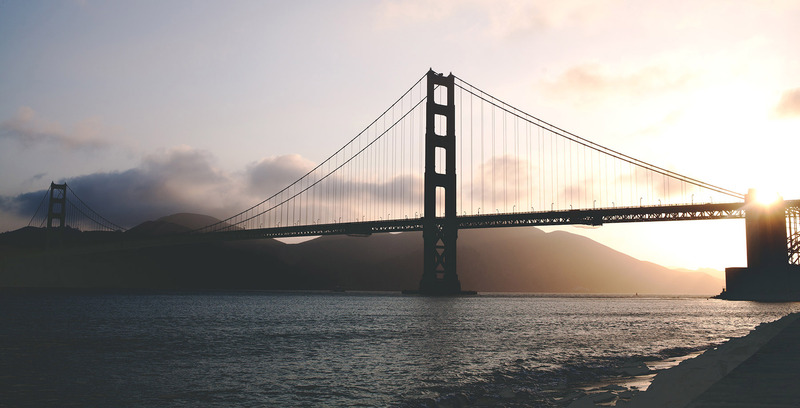 With a monolithic architecture, developers have a challenge in scaling. Since there is a single codebase accommodating all services, teams cannot work on different modules, independently. And even if they do, it is necessary for the team to coordinate during development and deployments. In microservices architecture, each component of an application is developed, deployed, operated, and scaled independently. This means a change in one service of the application will keep other services unaffected. Moreover, the services in microservices do not share codebase or implementation of other services. Thus, continuous development and deployment of large, complex applications are easy with microservices architecture. A monolithic architecture, on the other hand, has a large codebase with interdependent components. Such an application structure is an obstacle to frequent deployments because for updating a single component, the entire application has to be redeployed. This not only disturbs the tasks in the background but also impact the functioning of connected services. The risk associated with redeployments discourages frequent updates in the application. The size of a monolithic codebase is huge. The large monolithic codebase is difficult for developers to understand and manage, especially those who are new to the team. This, as a result, can slow down the development process. Microservices codebase, on the other hand, is divided into a group of small codes and thus is managed easily, compared to a monolithic application. Let us understand which architecture works well for building a scalable, robust eCommerce app. 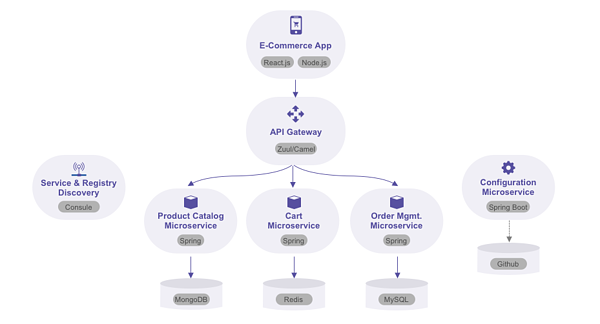 The example demonstrates how to build an eCommerce application using microservices architecture, powered by Consule, Docker, Spring, React.JS, MongoDB, Redis and more. The above example includes functional microservices (Product catalog, cart microservice) and infrastructure microservices (global configuration microservice, Service Registration & Discovery microservice) only. These microservices are deployed independently and are organized around business capabilities. 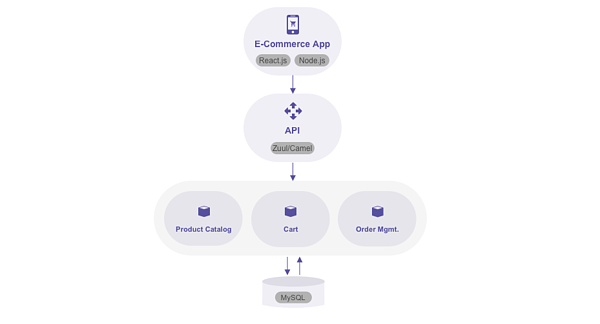 The same eCommerce application when built using monolithic architecture has all the services tightly-coupled, uses limited technology stack and have a single database. Such an architecture brings a number of challenges as the application scales. The large monolithic codebase has manageability issues. Larger the codebase, slower is the IDE, which makes developers less productive. Interdependent and interconnected services make continuous deployment of new features challenging. Scaling an application with a large codebase include obstacles. If a service goes down, it won’t affect the functionality of the entire application. There is less dependency on a specific resource for building a module (due to technology stack flexibility). Since the services are independent of each other, continuous deployment of new features and application scaling can be done with ease. 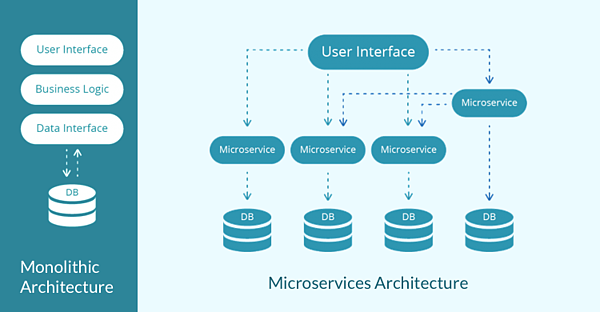 Microservices have some sure benefits over the monolithic architecture. If you want your eCommerce app to leverage the advantages of this modular architecture, connect with our experts for a free 30-minute consultation.